A few months ago we shared with you a list of some useful web tools to use to add text to pictures and create classroom posters. Today we discovered this great iPad app (through Apps Gone Free) called Fonta which does the same job. Fonta is actually free today and only for a limited period of time. 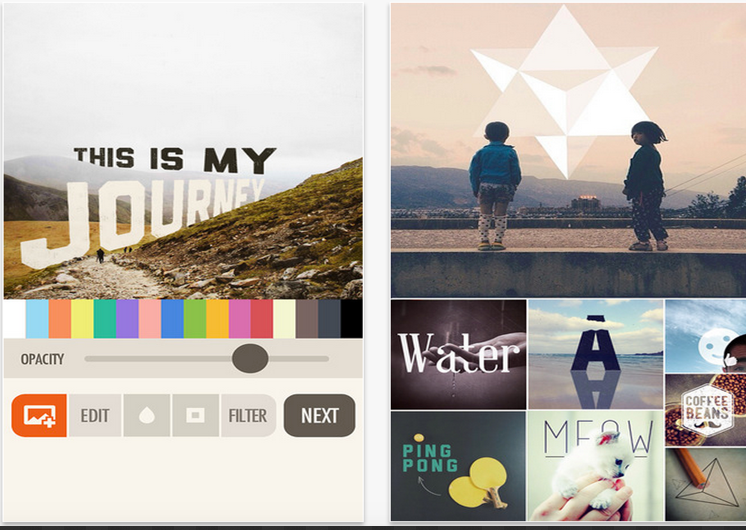 Fonta is a little design studio that enables you to easily stylize your photos using a wide variety of special effects and text fonts. You can use it to illustrate photos through the use of captions or to convert your words into beautiful photo text. You can also add text behind a photo giving more prominence to the visual aspect. Similarly, you can wrap a photo inside text or create visually appealing artworks using 3D effects, vintage filters, color layers and many more. Once your work is finalized you can then share it on social media websites such as Instagram, Twitter and Facebook.